connecting performers in Copenhagen, Miami, Barcelona and Prague. Eyes of four cameras are capturing performers who are the guides on a journey through their locations. The audience is invited to experience a blend of four seemingly similar places, traveling from the world of small details until the performers‘ interaction with their environments gradually reveals the uniqueness of each. Everything happened in the same time accompanied by the unifying live music from Prague. Low latency streams of the four locations were sent to a live mixing station of Studio Biscoe in Copenhagen where they were composed and projected for the audience. No post-production; just real-time interaction on the 3rd April 2017. The dialogues between body and the environment of Zahara el Gastor reservoir & Rio Tinto mines in Andaluzia. An installation and dance performance within the ruined walls of Pecka Castle poetically interpreting the journeys of former resident and renaissance Bohemian nobleman Kryštof Harant. Harant undertook a two year pilgrimage to the Holy Land in 1598/99 about which he wrote and illustrated a unique book Journey from Bohemia to the Holy Land, by way of Venice and the Sea published in 1608. The purposefully naive animations used in the installation are directly drawn from the beautiful – and sometimes fantastical – Harant’s drawings. Music for the performance includes parts of Missa Quinis Vocibus super Dolorosi martir composed by Harant. Premiered in June 2017 within Festival Pecka. The exploration of different gestures of touch in composition and improvisation, in the theatre space and in nature. Created within an Art residency in the Chapelle-Auditorium Ville de Quimper, organised by T.E.E.M. Site Specific Performance in the Library of Falmouth University. Exploring the Silent Study Area of the library, we have created the piece drawn from the special ambiance of the place, where the curiosity meets high concentration. Framed by silence, the voices of books, vinyl and bodies compose a playful music to be seen and heard. 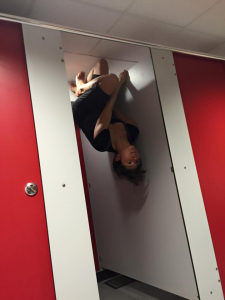 A music and dance collaboration using materials commonly found in a changing room. We have created a hybrid of audibly resultant movement and ‘hydrated’ themes. You will see a changing room utilised in a quirky and enjoyable way; the blurring of boundaries between artistic disciplines. 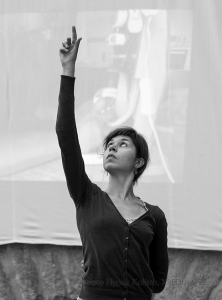 Series of solo performances in situ created from the collected gestures and memories of inhabitants of five Breton villages within the Community Dance project with Communauté de communes du Pays Glazik. Collaboration with Patrick Le Doare and T.E.E.M. Outdoor performance at the Pecka castle, created from the collected gestures, stories and memories of inhabitants of Pecka town. In this project Jana investigated the history of local businesses and social life in Pecka through to the present day. She interviewed inhabitants and recorded videos of the local crafts, such as the blacksmith and textile manufacture. 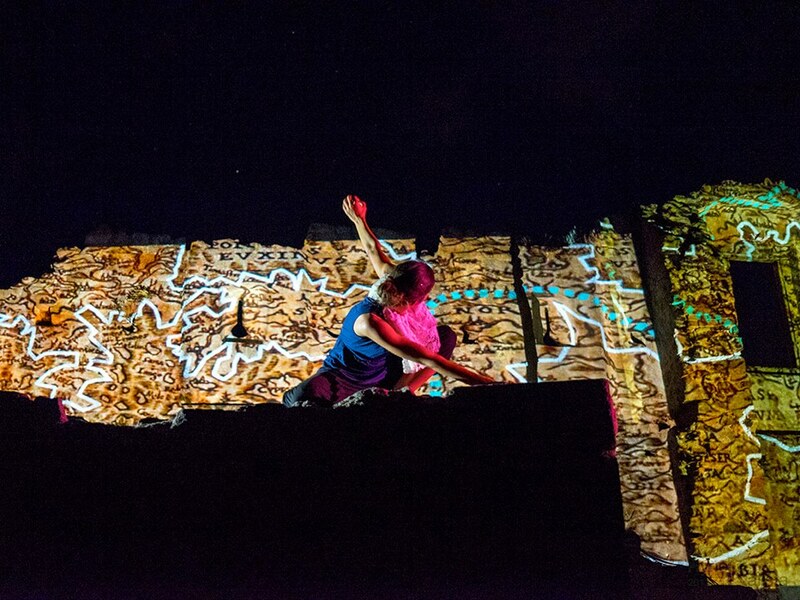 The site specific performance involved live dance and music with projection of recorded videos. Czech Republic – Pecka, August 2013. Outdoor performance on the street involving the local community, drawn from the shapes and rhythms of the city. Festival Mesto na Miru in Pardubice, Czech Republic 2011.
International piece created from the collected gestures and interviews with the Belgian fishermen and genius loci of Oostende docs. 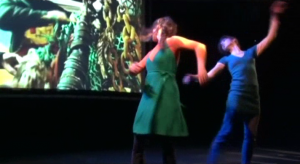 Premiere: 2012, Theatre 29, Pardubice, Czech Republic.